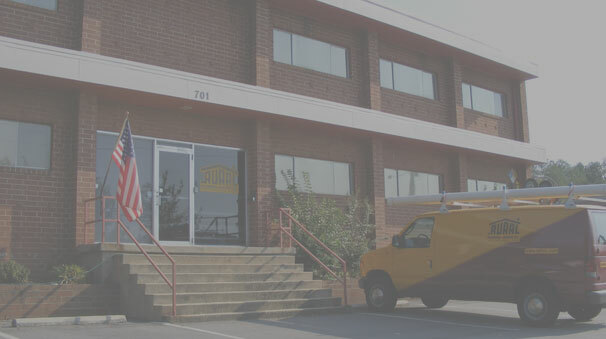 Trusted to service the Triangle since 1947. Welcome to Rural Plumbing & Heating! At Rural Plumbing and Heating we can provide all your Residential and Commercial plumbing and heating needs no matter how large or small. Are you a homeowner? We have everything you need to create the bath or kitchen of your dreams. Are you a construction professional? We offer a large inventory of equipment, parts and fixtures, with a sales staff to help you with any project. We are locally owned and operated since 1947, and our team is committed to providing you with on-time delivery at competitive prices. Please use this site to learn more about us and how we may assist you. Many thanks for sending your well trained employee to work on the faucet. Your company has given us unprecedented service and we will willingly and gladly tell our friends and neighbors of our good experience with your company. I have used Rural Plumbing and Heating for over thirteen years. during this period I have dealt with Rural Plumbing and Heating extensively and have always found them to be helpful and courteous. When issues on jobs have arisen, they have handled the problems quickly and resolved them to my satisfaction. I do not hesitate to recommend them for any plumbing or heating service need. I wanted to thank Rural for the services provided on my York HVAC system today by technician Mike O’Bryan. Mike was very knowledgeable, which enabled him to get my home heat up and running as he evaluated the problem quickly to get it working. Mike is an asset to your field services team and wanted Rural to know he knows his skill and does a great job with customers! Gabriel was the technician who came to our house Monday. He was very professional and thorough! Rural Plumbing is very fortunate to have such a hard working young man. I just wanted to take a moment to let you know he did a great job! I called this morning to have the plumbing replaced from the kitchen sink to the main line (as well as a bathroom sink). Donnie and Eric were the service techs, their work was outstanding! You are extremely fortunate to have these two men working for Rural. They represent your company very well. I look forward to working with you, and referring customers to you in the future. © Copyright 2016, Rural Plumbing & Heating. All Rights Reserved.